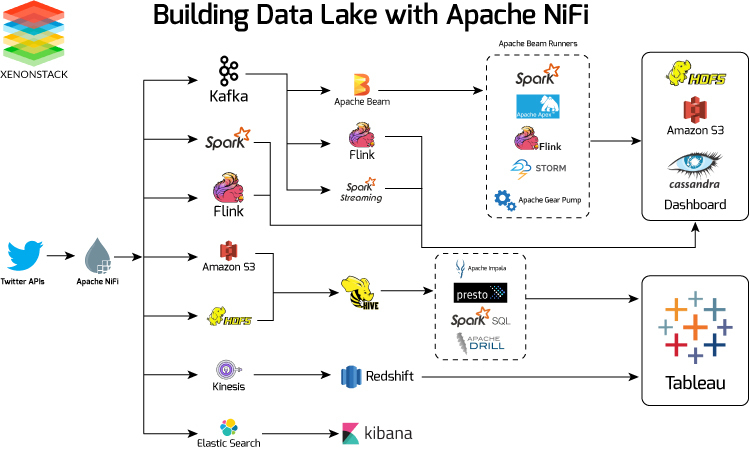 Apache NiFi is integrated data logistics platform for automating the data between disparate systems. It is data source agnostic and supports the origin of different formats, schemas, protocols, speeds, and sizes. 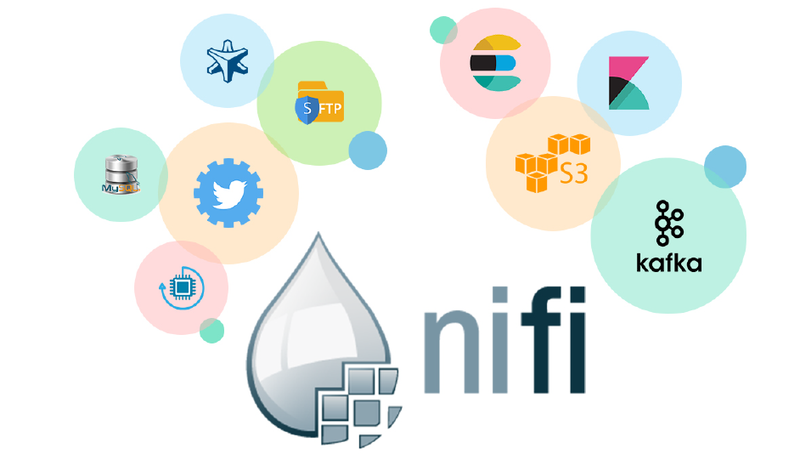 Apache NiFi provides a configurable platform for data and enables tracing in real time. Apache NiFi can also adjust to fluctuating network connectivity that could impact the delivery of data. Apache Nifi help to covering design, control, feedback, and monitoring using web UI. Apache Nifi enables a balance between loss tolerance and guaranteed delivery, and low latency vs high throughput. Apache Nifi enables users to build their processors, rapid development, and practical testing. Apache Nifi supports SSL, SSH, HTTPS, encrypted content, and provides multi-tenant authorization and internal policy management.